ONE DAY ONLY: 20% off all remainders and used books! For those who love our wildly popular semiannual Warehouse Sales, we're opening up our warehouse doors once again for a one-day clearance sale this Presidents' Day. If you missed out on our huge December sale, or didn't quite fill your baskets when you shopped with us last time, you're in luck! 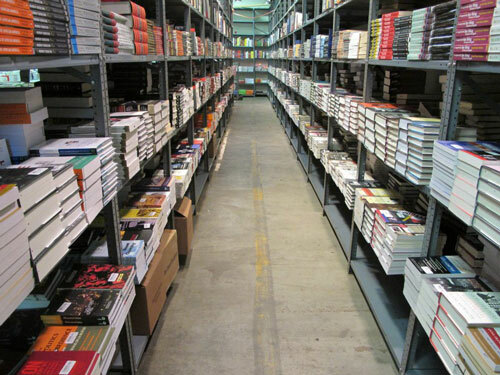 Join us in Somerville for the Harvard Book Store Presidents' Day Warehouse Clearance Sale: Monday, February 18 (11am–7pm). Come explore thousands of discounted remainders in our warehouse—today only they will be 20% off their already dramatically discounted prices. What are remainders, you ask? They are bargain books, new books at low prices. Remainders at Harvard Book Store are typically 40-80% off the original list price, and this day at the Warehouse Sale we'll be taking an additional 20% off the already discounted remainder prices. You'll find used books as well, also for 20% off their already reduced prices. Accepted forms of payment at the warehouse include credit cards (American Express, Discover, MasterCard, Visa), gift cards, cash, and checks. Frequent Buyer Cards cannot be used at the Warehouse Sale. We apologize for any inconvenience.